We all want resolutions to world crises and we all want a prosperous world, but most global affairs are dealt with in the United Nations headquarters in New York. The urge to discuss and resolve world issues made Dr Harry Reiff (once head of the History and Government Department and technical advisor to the US delegation to UN) come up with the idea of letting his students walk into the shoes of state ambassadors and make big decisions on a smaller scale and so a Model United Nations conference was held at St. Lawrence University in 1949. Soon the idea spread over continents as it played a vital role in developing the personalities of students. ‘MUNning’ is an immense opportunity for whosoever wants to excel in the field of public speaking and world politics. 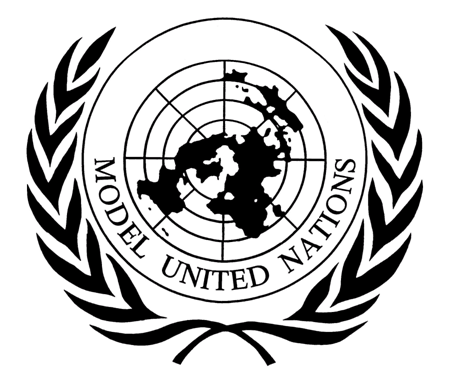 The word MUN is an abbreviation for Model United Nations. As there are several committees in the UN, the same is the case with a MUN. Committees in a MUN also work the same way as they would in the United Nations. However, there are two major differences. The Model United Nations allows you to be the ambassador of a country without any qualification and every school can organize their own Model United Nations conference. The committees vary from United Nations Security Council to United Nations Development Program, etc. The topics to be discussed in committees are diverse which allows participants to opt for choices according to their field of expertise. Whether it’s the Greece economic crisis or the Arab spring, the MUN allows young students to come up with innovative solutions which might help them to resolve global issues by minimizing the dent. MUNning can also make adrenaline rush through one’s body. Indeed, this is a complex art of public speaking and takes time to master. In the past decade we have seen a dramatic rise in Model United Nations conferences being held in Pakistan, previously limited to the bigger cities like Karachi and Lahore. Now several schools and colleges are supporting this idea and the MUNning circuit is growing at a fast pace. It not only makes students well informed of current world issues but also provides opportunities to socialize and expand networks. It instills the art of diplomacy, finding middle ground and making tough decisions. As a growing trend in Pakistan, several MUNs and other international conferences are being arranged by schools. Thus, people need to be aware of the rules and procedures for such conferences, especially aspiring MUNners. The art of MUNning shall be explored in more depth. Stay tuned!